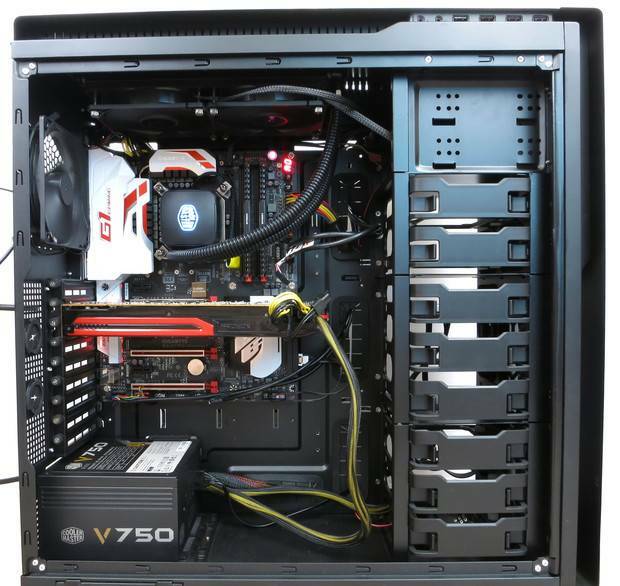 Hello, I have a Cooler Master Nepton 240m with two corsair AF120 fans. The Nepton is cooling my i5 6600k that is currently overclocked at 4.6GHZ. I originally purchased the Nepton for my FX 8350 and then after switching to Intel i changed over the bracket to the Intel one. My case (h440) hasn't changed either. When i stressed the FX chip i only used to ever get around 80C using Prime 95. Now when i stress the i5 (depending on my room temps) it can range from 90-97C which is worrying. I underclocked it down to 4.4GHZ and this seemed to help slightly as i got temps of around 80-85C using Prime 95. My idle temps seem okay, for both clock speeds they are 28-31C depending on how long the PC has been on. Can someone please help me figure out why my temps get so high? You can't compare two different CPU's as both Intel and AMD will perform completely different even if they are at the same clock speed. Prime 95 will produce extremely hot CPU temperatures especially when the 8k Small FFT test is running. If this stress test produces too hot of temperatures then maybe try something like ASUS real bench instead. Overall the temperatures seem quite normal for that CPU at 1.264 or 1.312 Vcore. Only thing is, you say 1.3V but my HW monitor only says 1.286 for my 4.6ghz overclock, did you round it up or am I reading the wrong voltage? I am reading the Maximum Vcore displayed in HWmonitor in your first screen shot. I edited your first image. You may be looking at VID which is different then Vcore. What thermal grease are you using? This could make another 4-6c difference depending on the type of grease. How is the fresh air intake?